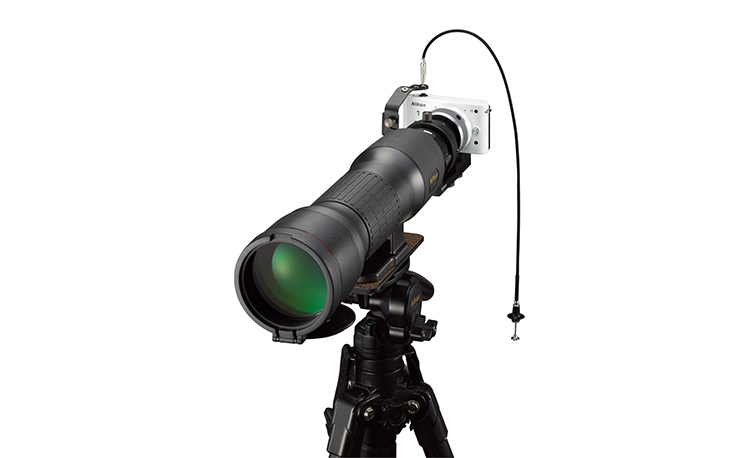 ●Carefully adjust the optical axis so that vignetting and shadows are minimized. Vignetting and shadows may not completely disappear. ●Because the optical system characteristics differ from those of ordinary interchangeable lenses, the exposure level may vary depending on the camera model; use exposure compensation if necessary. Exposure compensation may be required when zoom is set at a wider position. *Although the theoretical number obtained using the calculation above may exceed the 1 NIKKOR's F-number, the actual F-number will not. ●Depending on the type of camera, its position, or zoom setting, vignetting and shadows may occur. Carefully adjust the camera position so that vignetting and shadows are minimized.